Direct access to the web portal right from the homepage. 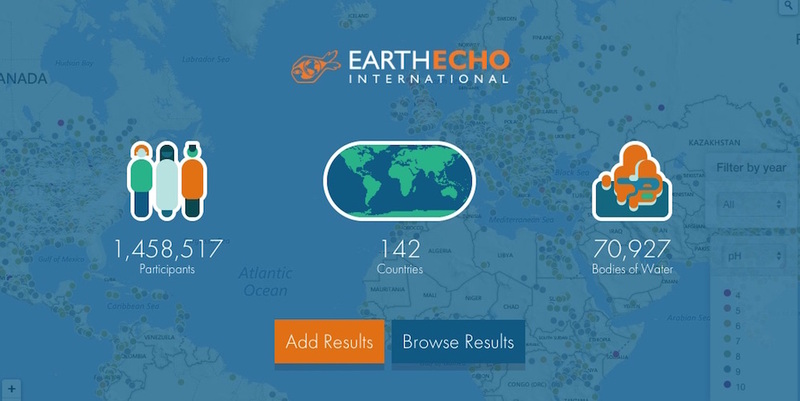 Browse results from all across the world without leaving our homepage. Access our app to upload your own results with one click. Explore now. Easily submit project stories with a form embedded on our website! Have you hosted a monitoring event in your community? Are you working to improve the health of a local waterway? Tell us your story and we may share it with the world. New, simplified ordering forms for domestic and international shipping. Simply select your region and fill out your specified ordering form. If you are outside of the United States, the correct representative will contact you to confirm shipping and payment. Order your kit today. Updated resources section to easily access the tools necessary to plan a monitoring event in your own community. Download tools in multiple languages, watch video tutorials, and plan future events with our Action Guides. Visit our new Tools section. Love how easy it is to access the web portal? Having difficulty finding something you use regularly? Please let us know. Email us at wwmc@earthecho.org or Tweet us @MonitorWater, #MonitorWater16.